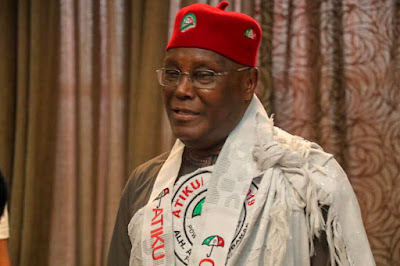 Less than four days to the presidential poll, an Igbo socio-political group, Eastern Peoples Front, on Monday, endorsed the candidate of the PDP, Atiku Abubakar, and his running mate, Peter Obi, saying that supporting Atiku was about Igbo’s survival in Nigeria. 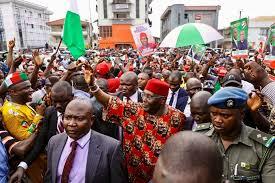 The group said it fully supported the earlier endorsement of Atiku/Obi ticket by the apex Igbo socio-cultural organisation, Ohanaeze Ndigbo, saying they recognised the body under the leadership of Chief Nnia Nwodo, as the mouthpiece of all Igbo and that anybody who speaks against Ohanaeze remains a renegade. EPF condemned the sit-at-home order to Ndigbo by the Indigenous People of Biafra, describing it as misleading, infantile and irresponsible, which they said should be ignored by Igbo. The group said that there were 26.7 million registered Igbo voters across the country and that EPF was moving round every part of the country to mobilise the people to ensure that at least 16 million of them vote Atiku. The group said, “Atiku/Obi ticket provides accelerated pathway for Nigerian president of Igbo extraction through a major political party in Nigeria. “Between the PDP and the APC, Atiku Abubakar is the only candidate that is committed to handing over power to the Igbo, as equity and fairness demand. Also speaking, the former Minister of Power and Vice-Chancellor of the University of Nigeria, Nsukka, Prof. Chinedu Nebo described those who visited President Buhari at the State House, Abuja, to apologise for Ohanaeze’s endorsement of Atiku as charlatans seeking personal aggrandisement, saying that in due time, they would realise their folly and apologise to Ndigbo.